On June 6-7th, the Center for Public Health Quality hosted Workshop 2 for the Division of Public Health (DPH) QI 101 Wave B cohort. This workshop commences the final phase in the sixth month long DPH QI 101 program for the five teams in this cohort. 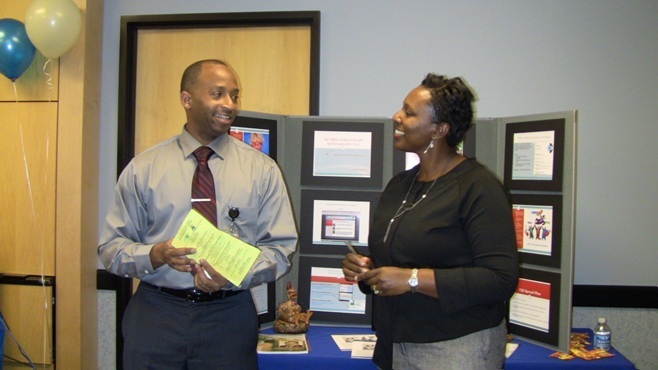 Each wave of the PH QI 101 Program adds invaluable QI problem solvers to our public health agencies in NC. With Wave 6, nine local health department teams (Cabarrus, Caswell, Dare, Pender, Sampson, Transylvania, Union, Granville-Vance District, Martin-Tyrrell-Washington District) are joining the movement. Nine local health departments have signed up to participate in Wave 6 of the Public Health QI 101 training program, which kicked off in February. The Center for Public Health Quality hosted a celebration event on November 6, 2012 to showcase some of the great QI progress and successes taking place at the Division of Public Health (DPH). 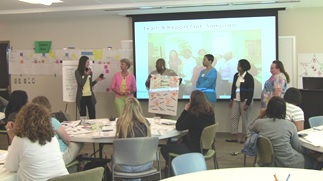 Five DPH teams will participate in Wave B of the DPH QI 101 program that kicked off in November 2012.